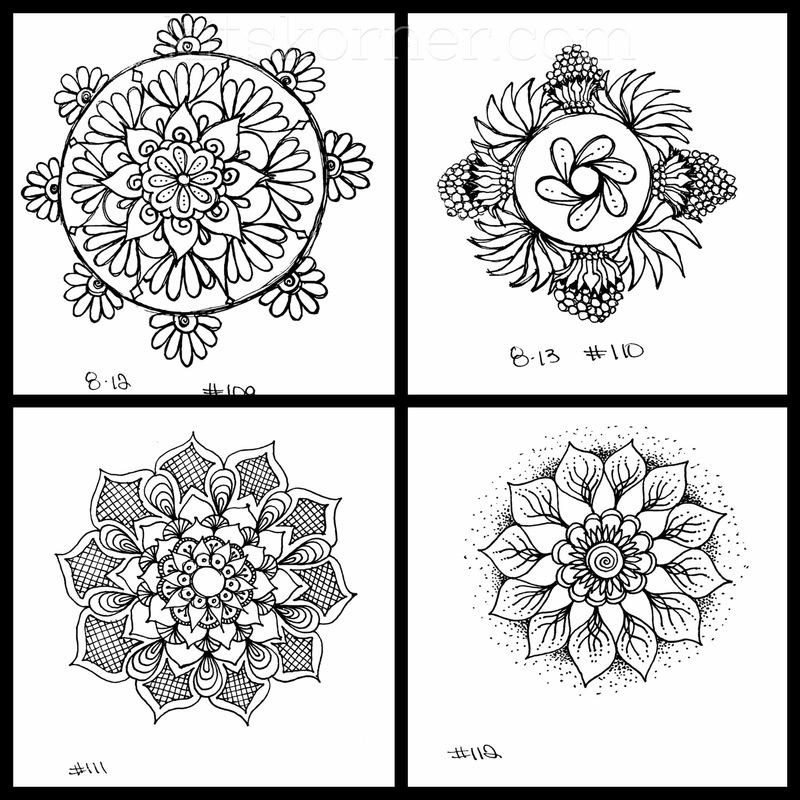 Since I completed the 100 Mandalas Challenge and hit that beautiful number of 100… I decided to start posting the new mandalas in sets of 12 instead of 7. I hope you can still see all their quickie doodled details and of course all of my flaws! I always always want you to see my flaws. I am not ashamed of my flaws, I embrace them and go with them. This is how your entire life should be. A flaw is simply part of yourself… enjoy them! Let your flaws set you apart from the rest of the world at large! You will notice that after 8-13-2015 the dates stopped. I did those two this week. I took a break from almost all drawing while working on our bathroom. 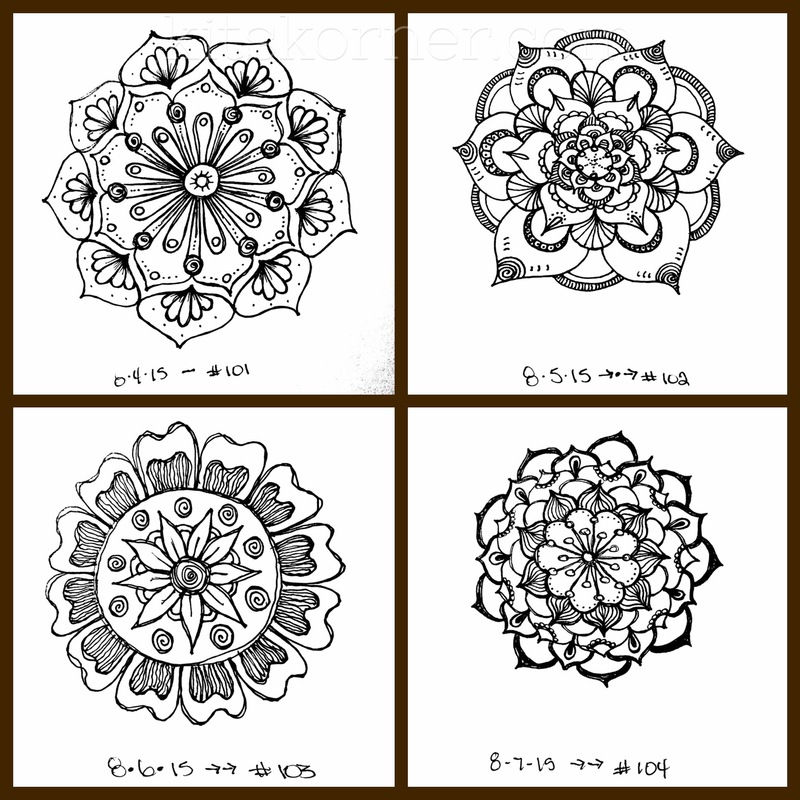 I did work on two mandalas (not shown) that are more detailed, but I just did a little bit each day. Maybe I’ll post those later. 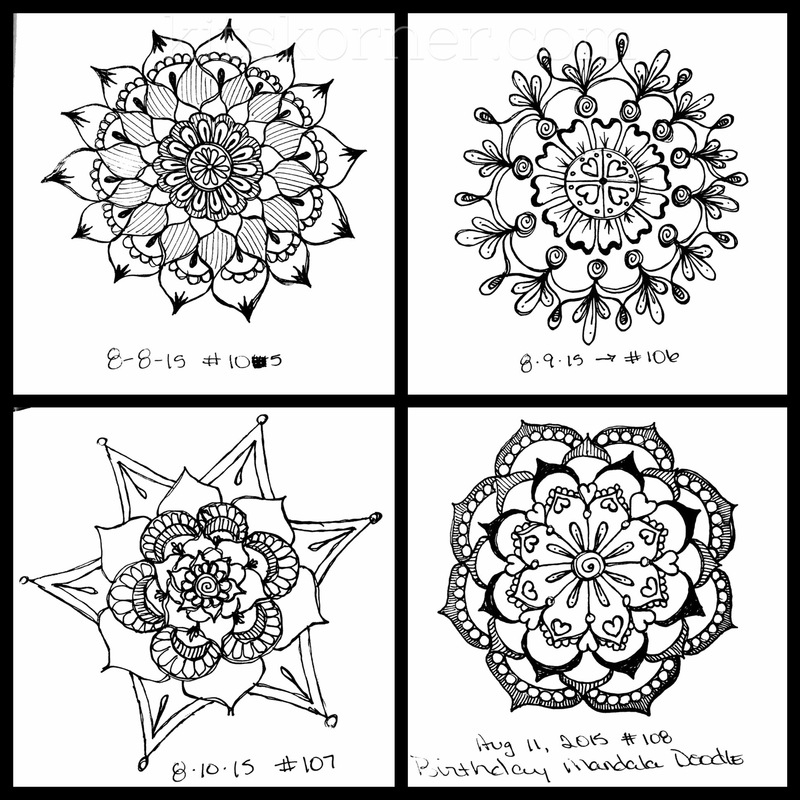 In the meantime, hope you enjoy the mandalas and don’t forget to check us out on social media! Links are all above!